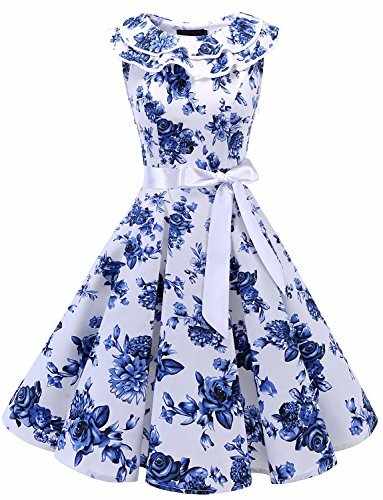 Especially perfect for rockabilly parties, evening parties, birthday parties, dating, performance, concert, casual wear, out-going, tourism, holidays, cocktail parties and other semi-formal occasions. Match it with a pair of high heels and gorgeous make-up definitely can make you outstanding whatever at parties or street corner! Our size chart is DIFFERENT from Amazon's, please refer to our size chart before purchasing. Slight hand wash in cold water and hang dry, no bleach, low iron if necessary. More solid colors, floral printed and polka dots printed for your selection!